A roundup of my favorite things in the categories of wine, food, travel, and lifestyle. Since this month has flown by I decided to highlight the month of February instead of just this past week. 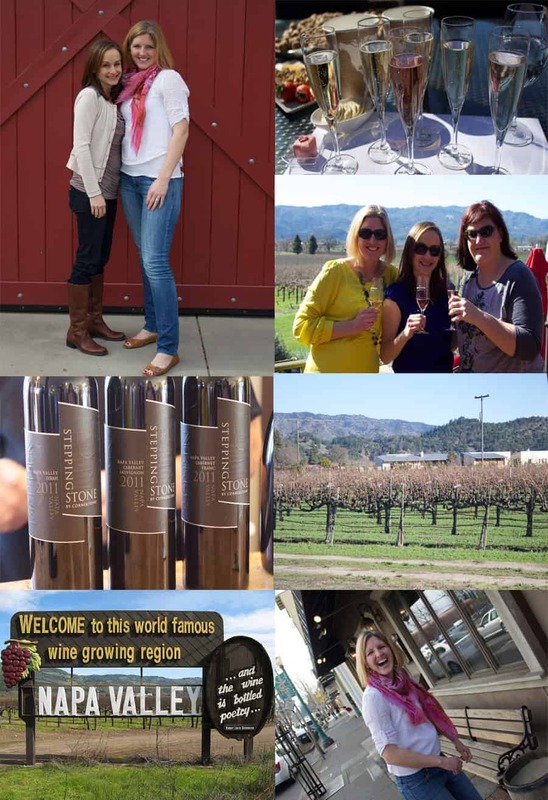 When the opportunity arises for your best friend to join you on a research trip to wine country you don’t pass it up. I had scheduled a trip to California for a few projects I am working on, and the week coincided with my friend’s winter break. So we made it a mini-reunion/research trip. We started the weekend by visiting some very dear friends in Oakland for a birthday party/college reunion of sorts. The evening involved lots of karaoke and obnoxious amounts of laughter… let’s just leave it at that. Then we he headed out to Napa & Sonoma valleys in search of wineries that offer the best and most unique tasting room experiences. I can’t reveal much now, but I can offer a few pictures and admit that this was one of the most therapeutic and fun weekends I’ve had in a very long while. Stay tuned for more. 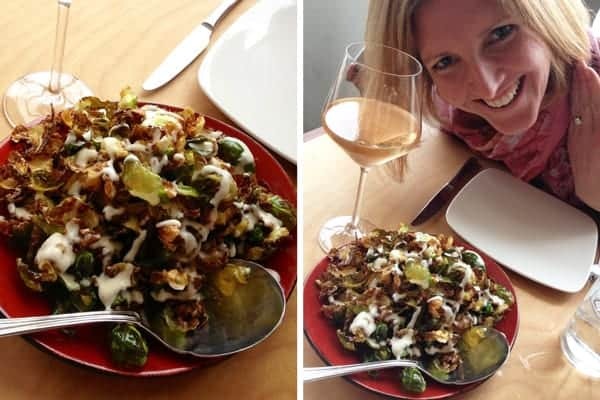 Forget about the kale chip trend, these Brussels sprout chips were perfectly crisp and seasoned and had just the right amount of creamy aioli drizzled over the top. I MUST figure out how to recreate it at home. They were so good I could have had three servings. In fact, everything we ate at Spinster Sisters on our last afternoon in California was pretty darn great; from the Smoked Dates (another one I plan to make on our Traeger smoker), House Made Kimchee & Bacon Deviled Egg, to their Grilled Calamari, all served alongside the most delicious local Grenache rosé from Unti Vineyards (which, btw, was served on tap for only $4 per glass during happy hour… score!). Sometimes you start your weekend with bubbles. Sometimes you end your weekend with bubbles. Last weekend I did both. I was just coming off the high of an incredible getaway with my best friend in California and was about to head into a new week sans hubby (he was headed to the east coast), with two sick kids, and a busy schedule ahead. I was already stressing. 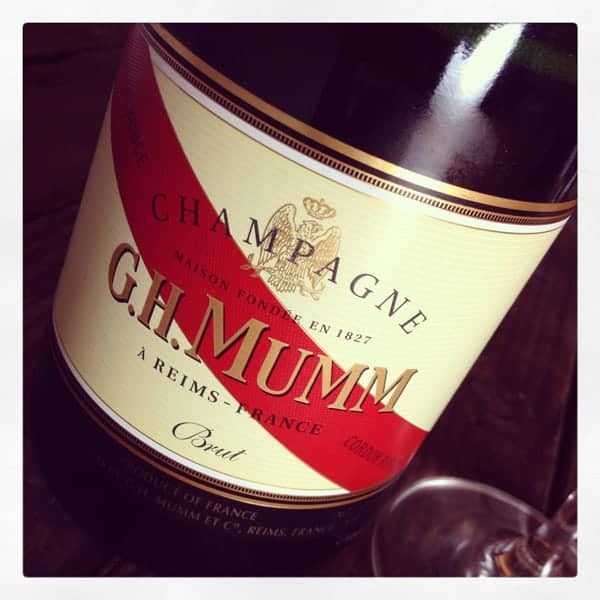 To say that this indulgent Champagne that we drank on Sunday night hit the spot would be an understatement. It was exactly what I needed. The wine has a bright fruity (strawberry, raspberry) and citrus (lemon, orange) focused nose. This wasn’t the yeasty/baked bread style of Champagne that I usually prefer. It began with fresh and bright aromas and fresh lime and a little salty/savory note. The body of the wine, however, was rich, silky, and remarkably creamy. That memorable creaminess was so indulgent that this wine didn’t need any food to compliment it (though it would be a great pair for many dishes, included cream based ones). If you’re about to enter a stressful week, and the anxiety hits you before the week even begins, drink a nice glass (or two, or three) of this indulgent Champagne and it will certainly ease the transition. At the very least, it will kick start your week in style! What about you? What were some of your favorites from the month of February?